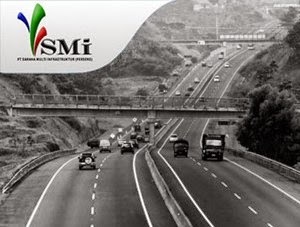 Lowongan Kerja PT Sarana Multi Infrastruktur (Persero) - SMI or more popularly called PT SMI (Persero) is a state-owned infrastructure financing company in Indonesia which was formed as the catalyst for better Indonesia infrastructure. PT SMI (Persero) concentrates its business activities in 3 business pillars, namely Financing & Investment, Advisory, and Project Development. PT SMI (Persero) was formed in 2009 and fully-owned by the Government of Indonesia, represented by the Ministry of Finance. Headquartered in Jakarta, PT SMI (Persero) now has 1 key subsidiary company namely PT Indonesia Infrastructure Finance (IIF). In term of financial performance, PT SMI (Persero) closed 2014 with a remarkable performance. PT SMI (Persero) managed to record total loan (including subordinated loan) of Rp 6,557 billion in 2014. This reflected an 29.95% increase from Rp 5,061 billion in the previous year. Total net profit rose by 18.09% from Rp 207.2 billion in 2013 to to Rp 244.6 billion in 2014.